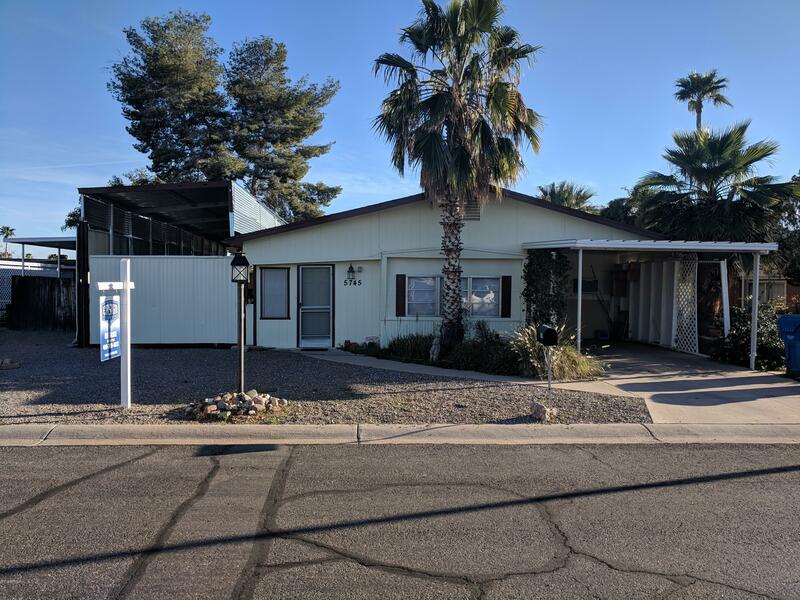 All WESTWARD QUEST 2 homes currently listed for sale in Mesa as of 04/23/2019 are shown below. You can change the search criteria at any time by pressing the 'Change Search' button below. "Come and take a look at this home that features two master bedrooms and two beautifully remodeled bathrooms. Upgraded electrical. Newer tile and carpet thoughout. Includes all furnishings. The two file cabinets, and contents of the shed out back do not convey. All appliances are included. Space built for a stackable washer and dryer in the addition of the home.Very nice large shed out back. Also, HUGE enclosed RV parking, with another bay to park right next to it. Hot tub out back has been unhoo"
"2 Bedroom - 1 Bath Mobile Home & Lot...with like-new Maytag kitchen appliances, large front room and spacious sunroom. Newly carpeted and available for immediate move-in!This home is just waiting for your decorating touch so you can settle in and enjoy your retirement lifestyle. The lot is clean and easy to maintain with no lawn care and native landscaping. Come and go as you please. park your vehicle or trailer in the shaded carport and raise your flags on the sturdy flag pole.You'll enjoy this"